Spread the word that it’s time to submit your 2017 refusal letter. NYS testing in grades 3-8 begins the week of March 27th this year. Math testing will be held the week of May 1st. 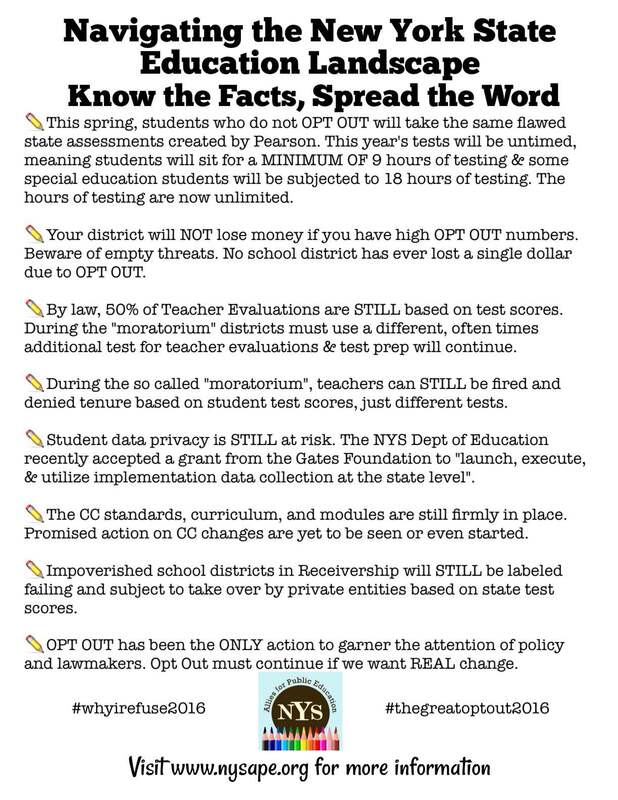 More information about how to refuse to participate in state testing, including several templates of optout/refusal letters, can be found on our website here. 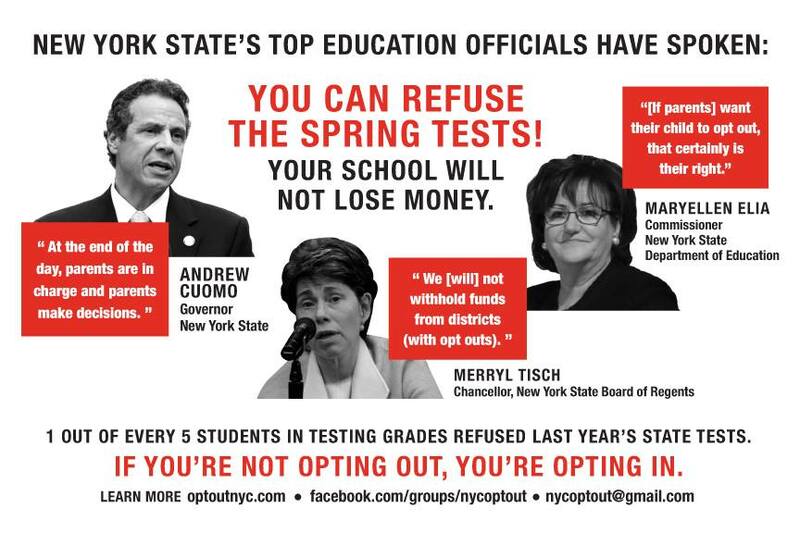 For more information about the importance of continuing the opt out movement, please visit New York State Allies for Public Education‘s website to access a helpful fact sheet. Photos courtesy of NYSAPE accessed via Instagram. Read the blog post that PARCC doesn’t want you to see — and then share it on your blogs!